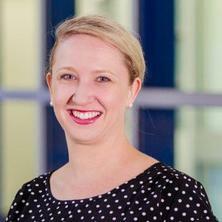 Tanya’s research interests include exploring family-centred models of care and client outcomes using the International Classification of Functioning, Disability and Health framework when working with young children who are ‘late talkers’ or who have a developmental language delay/disorder and their families. Tanya lectures in paediatric language and paediatric motor speech disorders. The Communication Disability Registry: expanding research opportunities. Parent-child interaction therapy is widely used by speech-language pathologists (SLPs) in the treatment of developmental language difficulties. This family-centred intervention involves coaching parents to use language facilitation strategies, such as commenting on their child’s interests. There is currently no standardised tool available for SLPs to rate parents’ use of language facilitation strategies. This project will develop a standardised tool for capturing parents’ use of language facilitation strategies in a clinical context. SLPs require a validated tool to guide intervention and evaluate outcomes of their family-centred SLP service. Family members play a vital role in accessing health information for people with aphasia and have rated information about aphasia as their most important informational need post-stroke. The need for information to be provided to family members proactively and flexibly, particularly in the early period post-stroke has been recognised. This project will focus on developing and evaluating a resource for family members new to living with aphasia, co-developed with family members who have previously journeyed though the early phases of the care-continuum. Do people with aphasia receive written stroke and aphasia information? The provision of health information to stroke patients within an acute hospital setting: What actually happens and how do patients feel about it?